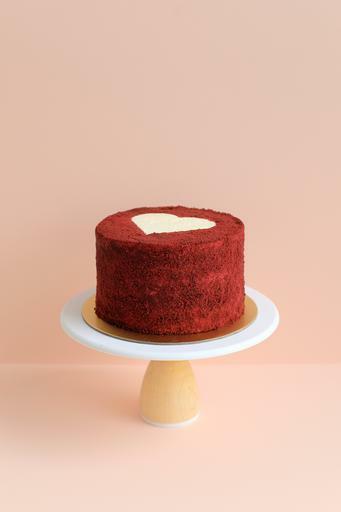 American classic Southern style light chocolate cake with Madagascar Bourbon vanilla cream cheese frosting coated with red velvet crumbs. Standard 6" 3 layer cake serves 8 people. Best when stored and served at room temperature. Note: Cake as pictured is a custom 4 layer tall size, only available upon special order.